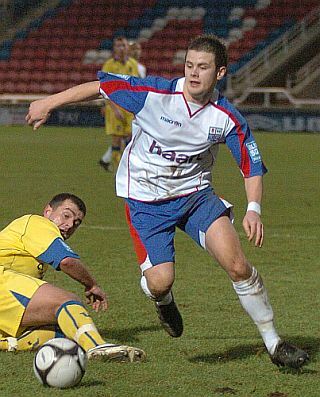 The tenacious midfielder joined Diamonds on a half season loan deal from Nottingham Forest on 20 July 2009, but the loan was later extended until the end of the season. He had featured prominently for Forest’s reserve team after graduating from their academy and earned his first team debut under manager Billy Davies in April 2008. While with Forest, Mark had a loan spell at Conference side Burton Albion towards the end of the 2008-09 season during their promotion campaign. 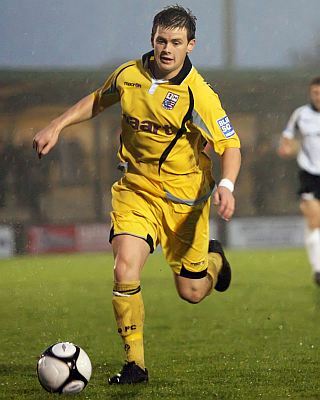 Mark made his Diamonds debut on 18 August 2009 as a substitute in the 2-1 victory over Hayes & Yeading United, and then scored his debut goal for the club four days later against Forest Green Rovers. After a successful season at Nene Park, during which he helped the club reach the end of season play-offs, he was rewarded with the Players’ “Player of the season” award. 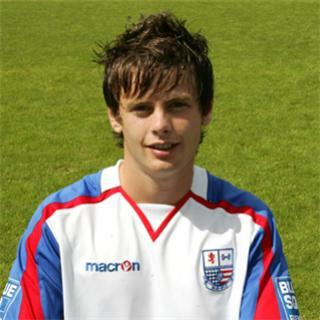 He returned to his parent club at the end of the loan period in May 2010, where his contract was renewed. Despite efforts to secure another loan deal at Nene Park, on 14 July 2010, he signed a half-season loan deal with League Two side Barnet, but had to return to Nottingham Forest in November due to injury. After recovery however, he returned back to Barnet on 2 March 2011 on loan until the end of the season. On 17 June 2011, Mark signed a two year permanent deal with Barnet. He was released at the end of his contract on 13 May 2014, and was on trial with former manager Justin Edinburgh at League Two side Newport County for pre-season, signing a half season contract on 14 July 2014. He stayed with Newport until the summer of 2016, when he rejoined Justin Edinburgh at Gillingham. He was still at Priestfield for the 2018-19 season. His Wikipedia entry is here.